I made this card for my little brother's birthday. We both love Shin Chan and so i thought i would use him on the card. 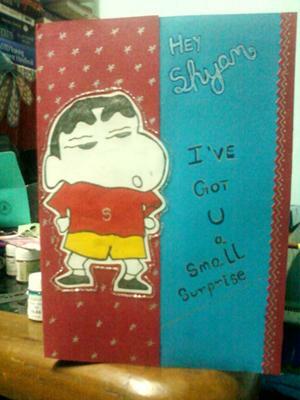 He was really surprised to see Shin Chan and his name written on the card. I hope you'll like the card and do let me know if any suggestions.....!! !